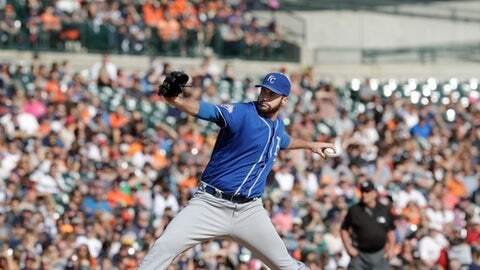 SURPRISE, Ariz. (AP) Kansas City Royals left-hander Brian Flynn is expected to be sidelined for eight weeks after falling through a barn roof at his Oklahoma residence. The Royals said Tuesday that Flynn broke a rib and had three minor vertebrae fractures. Flynn, who went to Wichita State, had a 2.60 ERA in one start and 35 relief appearances last season, allowing 38 hits in 55 2/3 innings. In 12 relief appearances from July 31-Sept. 6, Flynn did not allow an earned run. Flynn appeared in just one minor league game in 2015 before a shoulder injury. The Royals acquired Flynn after the 2014 season from the Miami Marlins for pitcher Aaron Crow.